Esports betting is becoming more and more people. This is why bookmakers from all over the world are setting up their types of bets, odds and everything else that is important for the Esports betting markets. Esports betting at Bodog is definitely something you should try, and below you will be able to read why. 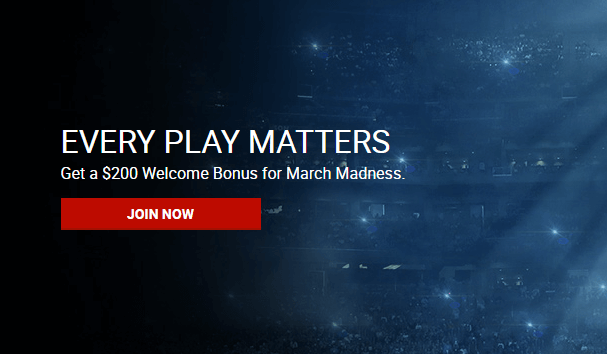 At the moment, Esports betting at Bodog is providing their users with an incredible welcome bonus where you can get 100% of your first deposit up to $200. Alongside this welcome bonus, there are plenty more available, but we will discuss those down below. Given the fact that this Esports betting bookmaker is limited to Canada and Canada only, I would dare to say that this is the best chance Esports bettors from that country will have in order to enjoy Esports betting. Since Bodog is tied to only one country, it is logical that they will have to offer the best odds for your Esports bets, and this is why they are so good. Let’s dig a bit deeper about Bodog. This bookmaker is operated by II Nido Limited. At the moment, they are based in Antigua and Barbuda. Furthermore, they are regulated and licensed by the Antigua and Barbuda Financial Services Regulatory Commission. Lastly, their payment services are provided by Tritract Financial Limited, based in Malta. Bodog is offering a lot of ways to contact their support staff. From what we were able to find out, you can look for your Esports betting queries in their F.A.Q. section. However, a phone number has also been put in place alongside an e-mail address. Lastly, live chat is also an option with this Esports betting bookmaker. As we mentioned above, Bodog needs to stay in front of the competition when it comes to everything related to Esports betting. This is why Esports betting at Bodog is equipped with a huge variety of Esports titles to choose from. All of the popular titles are here and covered in detail. You can probably guess which Esports titles are the most popular on Bodog. CSGO betting is sitting in the first place, followed by both LoL betting and Overwatch. Just like every other Esports betting bookmaker, Bodog is forced to provide their players with three different types of bets. Firstly, the core of every bet in the world is pre-match betting. Secondly, live betting has also become very popular as of late. Lastly, Bodog renamed outright betting to Futures and this is the latest addition to the Esports betting at Bodog. We already mentioned above that live betting is gaining more and more popularity. There is nothing better than sitting back, relaxing and placing LoL or CS:GO bets while the matches are being played live. Bodog was never all about Esports betting. This bookmaker is providing its customers with a huge variety of sports to choose from. For instance, you can place bets on football, soccer, tennis, ice hockey, golf, darts, MMA, and a lot more. When it comes to the navigation on Bodog, I assure you that you will have no problems locating Esports betting section. Every sport has its corresponding logo attached to it. Esports are always based around joystick logo so you simply cannot miss it. From the betting perspective, Bodog is definitely providing the best Esports betting odds on the market. We will go over every Esports betting section Bodog provides you with. Pre-match betting is definitely rated high by this bookmaker. If you decide to sign-up for an account with this bookmaker, you will definitely enjoy the highest Esportsd pre-match betting odds on the market. Live betting is also an important part of Bodog. However, if we are to compare Bodog live betting odds to their rivals, we would not find a lot of differences, so we can freely say that they are not offering anything mind-blowing, at least not when it comes to live betting. Lastly, outright or so-called Futures betting is the latest addition to the Esports section of Bodog. There is barely any difference once we compared their outright odds to the ones provided by similar bookmakers. However, these types of bets are always rated highly and the odds are always through the roof. We have already mentioned that Esports betting at Bodog is related to an excellent welcome bonus. This welcome bonus basically means that Bodog is going to double your money up to a $200. I do not think you will be able to find anything similar anywhere else. Alongside this welcome bonus, you will also be able to find bonuses related to Poker or Casino. However, you can also claim a 150% bonus for your first BitCoin deposit. To be honest, there are barely any deposit methods provided by Bodog. However, they are covering all the important deposit methods such as VISA, MasterCard and American Express. Furthermore, they are also accepting cryptocurrencies as a deposit method. At the moment there are two crypto deposit methods. BitCoin and BitCoin Cash. Sadly, they are not offering eWallet deposit such as Skrill, NETELLER or even PayPal. Who knows, maybe they will add those in the future. There are a lot of terms that you will have to meet if you want to become a part of Bodog community. First and the most important thing is that you have to be from Canda. There is nothing more to add here. Bodog only accepts users based in Canada. Secondly, you are provided with one free withdrawal per month. All other withdrawal will have a processing fee of $50. At the moment, a minimum withdrawal of $10 has been put in place, while the maximum one is set to $3,000. Most of the payouts are sorted within 1-5 days. Deposit limits have also been put in place by Bodog. BitCoin deposit is tied to a minimum of $10, while the maximum is set to $5,000. Furthermore, credit card deposit has a minimum of $20 and a maximum of $1,000. Lastly. The minimum bet size of $1 has been put in place, while the maximum one is determined for every event individually. As we mentioned above, Bodog is not lacking when it comes to customer support. There are three ways of reaching out to their staff. However, there is a fourth one as well, but you are kinda left on your own with this one. Bodog probably has the biggest F.A.Q I have ever seen. If you decide to take a look, you will probably find an answer to your query there. Let’s talk about simpler and better methods though. You can reach out to their staff via phone call. This method is available 7 days a week, 24/7. This is the phone number where you can reach out: 1-877-263-6422. Secondly, an e-mail address has also been put in place. From what we were able to find out, it usually takes them around 24 hours to resolve your Esports betting queries and problems. Lastly, live chat has been the latest addition Bodog added to their customer support. We were chatting to an agent straight away. They were very polite and professional. However, we have waited for a while until they finally gave us an answer to a couple of simple questions. This method is also available 24/7, 7 days a week.